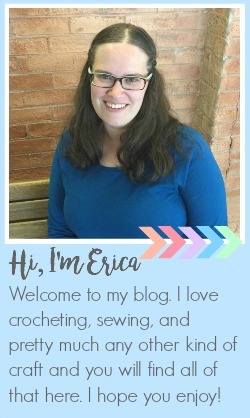 A few years ago when I first started my blog I spent a year as a contributor on Craftaholics Anonymous. Each month I would share a new pattern or tutorial there and usually I would share it on my blog a few weeks later. Some of them I never shared here, either it was past the season or I just never got around to it. 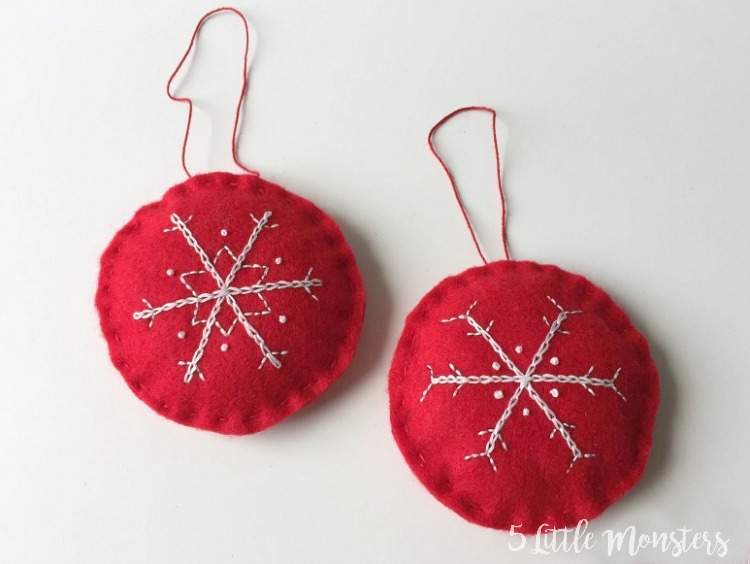 I decided it was about time to share them, especially a couple that were Christmas patterns. 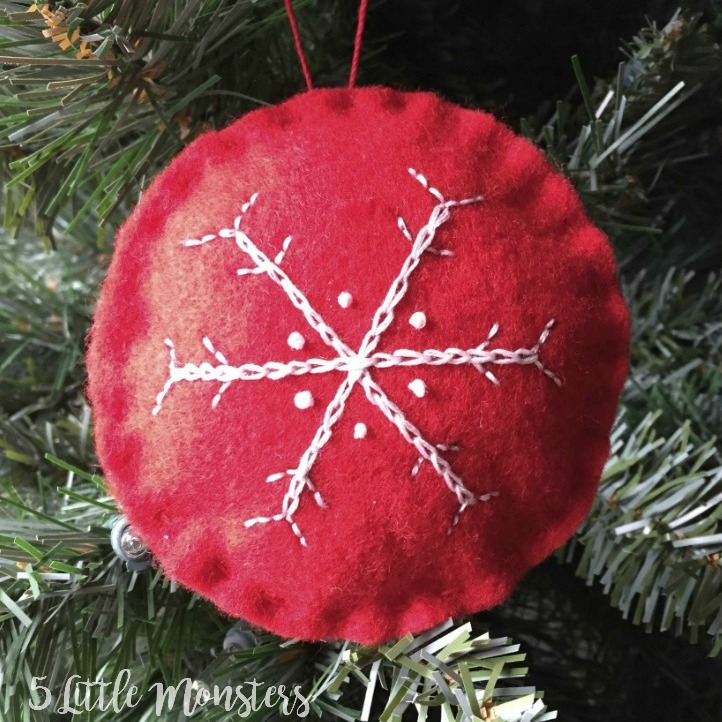 The one I want to share today is a super quick, easy, and inexpensive ornament. 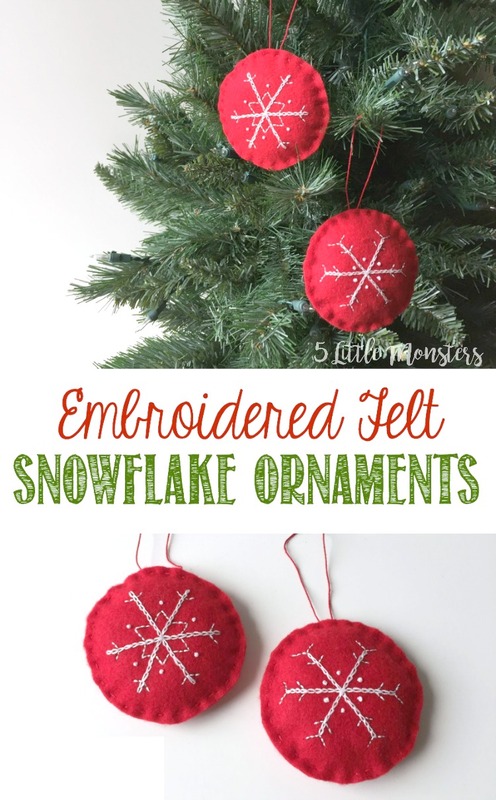 Simple felt ornaments with snowflakes embroidered on them. 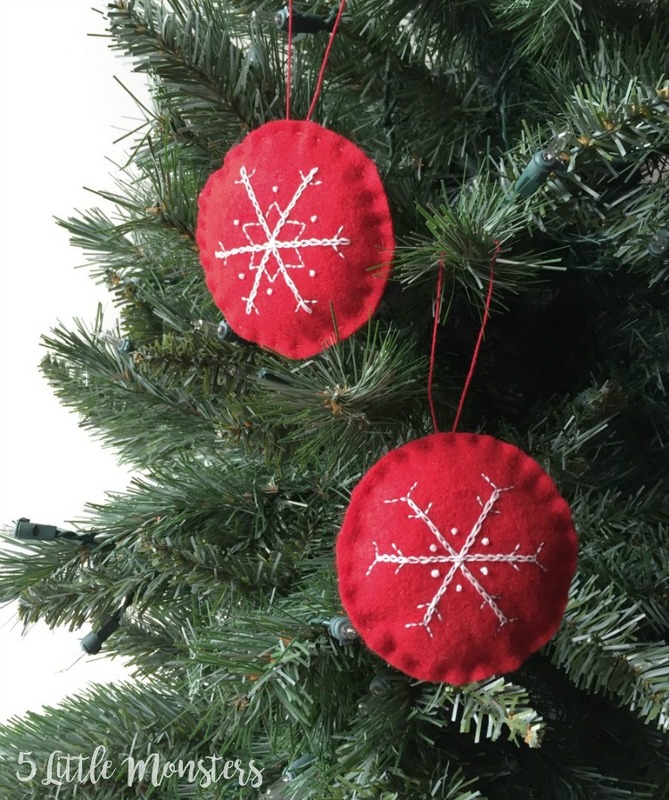 I love the look of red and white, simple, embroidered ornaments on a Christmas Tree so I made mine out of red felt with white embroidery, but you could obviously go with any color combo you would like. 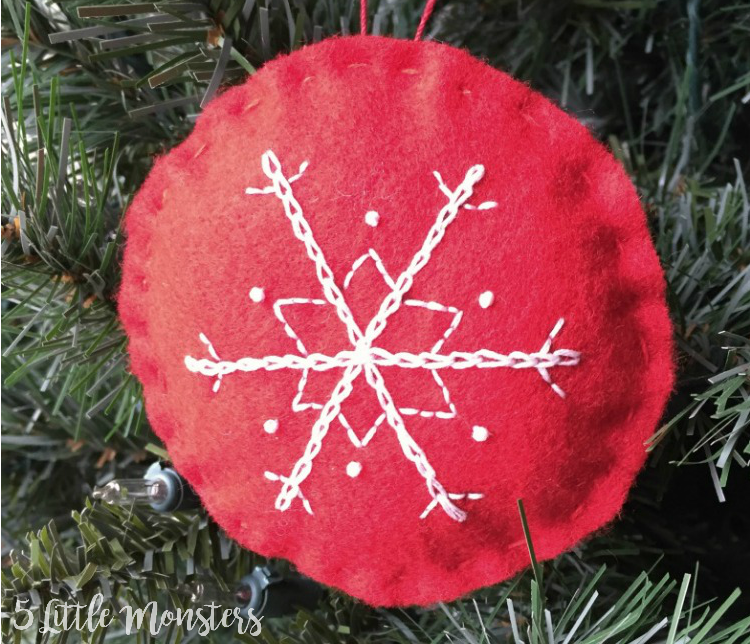 They are so easy to make that you can make several to hang on your own tree or give as gifts to friends and neighbors. First you will need to cut out 2 circles about 4″ in diameter. I traced around the top of a plastic cup to make my circle. 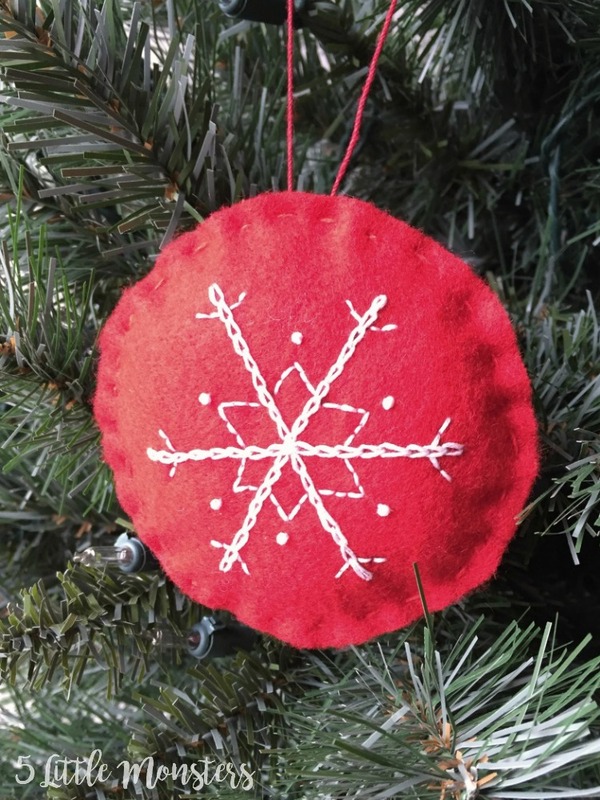 Next draw the basic snowflake design on one of your circles. I just drew a few simple snowflake designs on a piece of paper and picked my favorites. 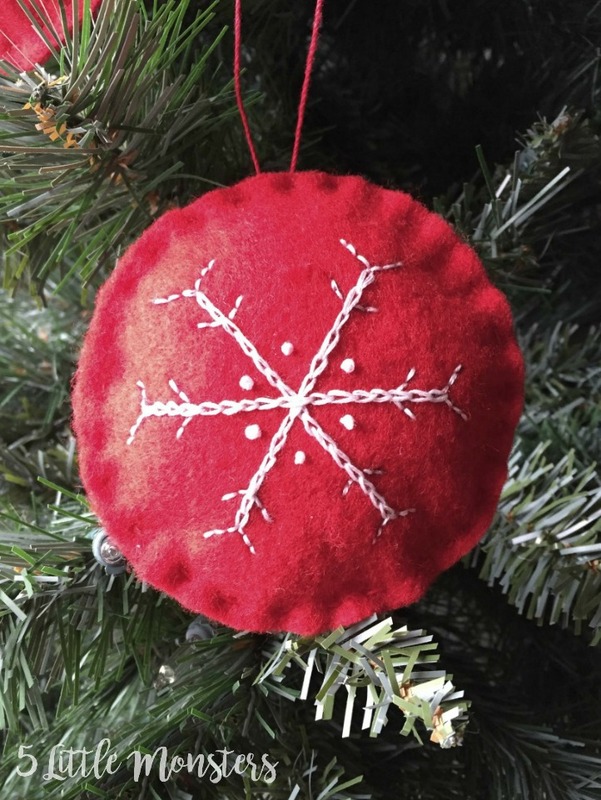 Keep it simple, 6 “spokes” and a few little decorative lines coming off of the spokes. I used an ultra fine point sharpie to draw my design on the felt. 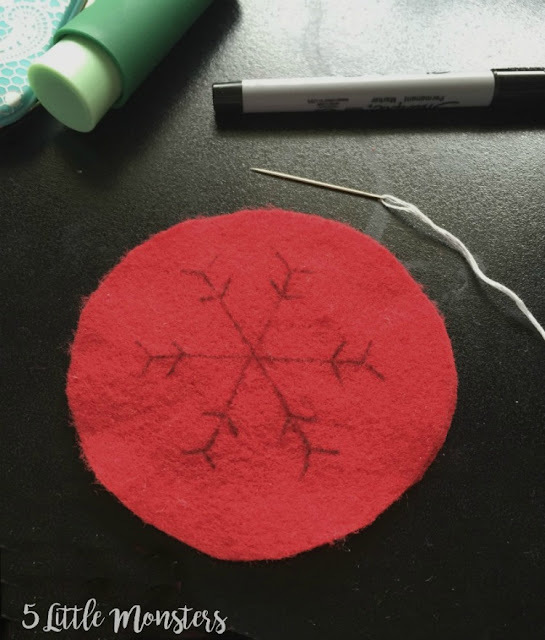 of the things that I tried it worked the best, the only problem is that it is permanent so you need to make sure that you cover all of your lines with the stitching. For the next design I started with the same 6 spokes, then added a little v towards the top. I made points in between each of the spokes to create a sort of star design in the center. Then I added a dot above each of the points, again, I didn't draw that on but just added it as I went.